Don’t lose your head. They claim to screen members’ profiles but denounce any responsibility should some other members harm you in any way. You can look but you can’t touch. Signing up and browsing through profiles is free, but the actual interaction with other members costs credits. RussianBeautyDate.com is one of Qpid Network’s mail order brides websites. Since it belongs to this network, it means that if you have already registered an account and purchased credits on any other of its websites, you are welcome to use them here as well. No need to register anew and purchase more credits. The most popular of these sites is CharmDate.com, others include AsiaMe.com, LatAmDate.com, etc. As the name suggests, this site is the place to meet Russian brides. The registration and navigation are not just simple: one can see that they have tried hard to make it as self-explanatory as it gets. The registration will take two or three minutes of your time, after which you are free to go browsing through Russian girls’ profiles. If you prefer to do it from your phone, there is also a RussianBeautyDate app. For centuries, Russia has had a charm over many intelligent people in the world. Russian women, in particular, have always been desirable brides for the prince and the pauper alike. It seems like Russian women excel at everything – from beauty and bearing to household and cooking. If you have a friend married to a Russian woman, you must feel at least a bit envious for him. At the same time, traveling to Russia for a “wife hunt” may be something of a risky endeavor because Russia does not enjoy the reputation of the safest place in the world. That’s why it makes more sense to begin exploring Russian women dating online rather than offline, and that’s precisely what sites like RussianBeautyDate.com are here for. An eligible lady from any part of the world can create a profile at RussianBeautyDate, but her profile will go to QPid Network’s database and eventually land in one of the network’s websites. Only those from Russia and other post-Soviet countries will end up displayed at RussianBeautyDate.com. 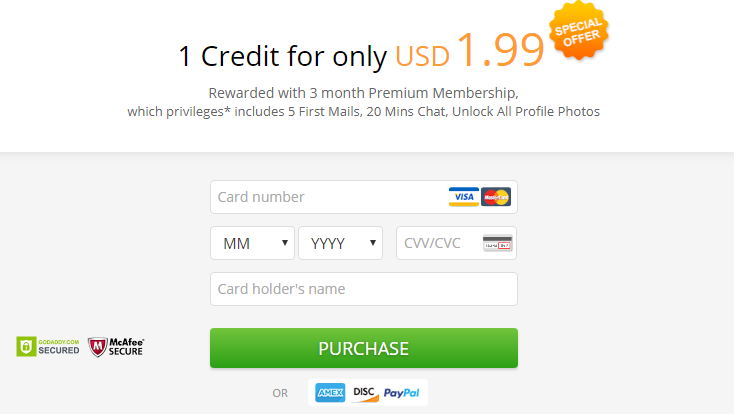 Once you register, you can browse all you want, but to start any actual interaction, you will have to purchase some QPid credits (which, as we have mentioned, are valid for all the network’s websites). The pricing is fair, and there are plenty of trial and other special offers. However, take care that you terminate the features that you don’t use because otherwise, they will auto-renew. RussianBeautyDate.com’s design is quite simplistic, no unnecessary complication. By entering the start page, you jump straight to the point and are offered to create a profile by entering the basic information like your name, email, etc. You can enter all other details – such as your characteristics, interests, and preferences – and upload your photo later, once your profile is already created, but none of those fields are obligatory. It is recommended, however, to fill out your profile fully and honestly, because this is how the matchmaking system will find the most suitable women for you. As we have mentioned, creating a profile requires filing a few fields, which takes no more than a minute. You fill in the rest of the details after the profile is created. It also only takes a few moments. No need to write several-paragraph essays about yourself, it is mostly about checking the boxes. Notably, no billing information is required at this point. You only enter payment details when there is a payment to talk about – when you are purchasing credits. As we have mentioned, starting and maintaining any form of dialogue with a Russian woman on this website will cost you credits. Before that, however, you are welcome to take all the time you need to look around the website and browse through women’s profiles. They are organized in tiles of photos with a name and an age attached to each of them. When one of the photos catches your attention, you just click on it to see more detailed information about this Russian beauty, including more of her photos. Once you are convinced that there are indeed at least several women whom you’d like to know better, you can purchase credits that you need to start correspondence. The correspondence is available in several different ways: emails, live chat, voice calls, and video calls. Note that each of them comes in specific packages with different price tags and that they renew automatically. So, it’s up to you to take care that you don’t get charged for the features you don’t want to use. There is no exact number of how many women are registered (it might be some sort of sensitive information), but we have tried to log in at various times of the day and always failed to reach the bottom of the list. Importantly, they don’t all look like models from an underwear catalog, and one can spot charmingly misspelled words and grammatical errors in their profile descriptions. Aside from being cute, it serves as proof of these profiles authenticity. If you happen to prefer live chat over emails, then the number of online profiles should matter to you. Due to Russia’s variety of time zones, this number is always sufficient for every gentleman to find a desirable partner for a chat. If you prefer emails, you should know that this site enjoys the respectable 95% response rate, so your email will not go unnoticed even if the girl you like is currently offline. We have already briefly touched upon the fact that authenticity is a top priority for RussianBeautyDate.com, as well as for other QPid dating websites we have encountered. Some gentlemen may be a tad disappointed when they look for fairytale princesses and find everyday girls, but it only proves that these gorgeous ladies indeed exist in real life and not in fairytales. Every flawed angle on a photograph and every spelling error in a profile text reveals honesty and genuineness of the adorable girl behind this profile. The website’s terms of service specifically state that while they do conduct their activities on verifying the girls’ profiles, they don’t guarantee 100% security from scam. But – whatever they do, it seems efficient. 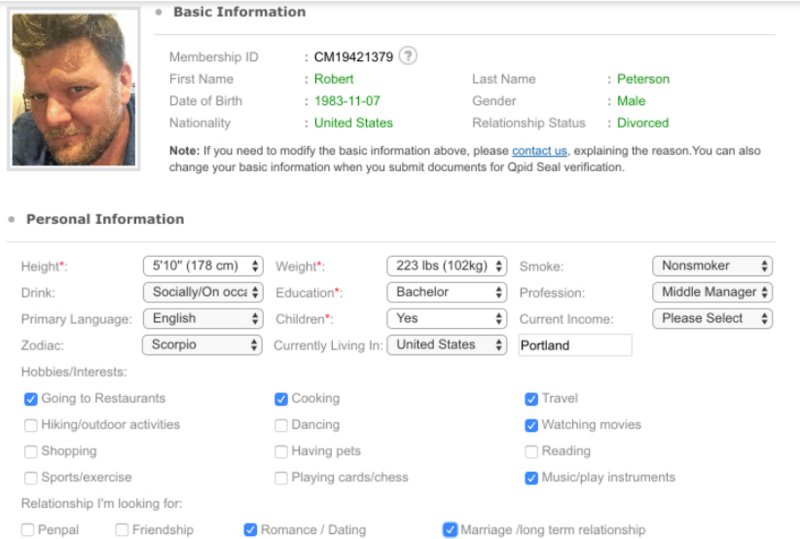 Aside from minor linguistic flaws, profiles will contain all the basic information about girls: a few sentences about herself, biometrics, education and occupation, marital status and children, hobbies and interests, etc. It’s the kind of information that you (in the best-case scenario) would get on a first date to decide whether you want a second one. Here, a minute of looking through the profile substitutes your first date, and you can get the idea of whether or not you want to converse with this person at all. Even though international online dating is by no means a new thing, there is still a considerable amount of people convinced that either all girls on these websites are frauds after green cards and gentlemen’s money, or that this whole industry is about exploiting and milking naïve and lonely men. Some unpleasant stories concerning mail order brides may have happened in the past, but international online dating simply would not survive if it were all false. Still, realizing this existing concern, RussianBeautyDate.com explicitly calls its members to use common sense to avoid getting scammed or any other kind of fraud. They do what they can by performing routine monitoring of the girls’ profiles to check their eligibility and authenticity. Judging by the results, it is indeed efficient. But, if you happen to get fooled by a mischievous woman, then you are the only one to blame. On the other hand, it’s not that different from old-fashioned offline dating – similar things happen now and then. Be strongly encouraged to read more about RussianBeautyDate’s security policy, procedures, and tips on the corresponding pages of the website. If anything in this (or any other) regard is unclear to you, you are welcome to clarify it with the site’s customer service at any time.